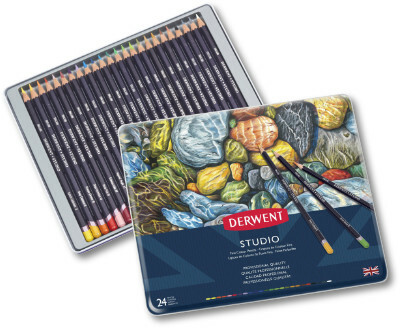 The Derwent Studio pencils are a slim, hexagonal pencils which comes in 72 rich and vibrant colours and hold a point well. 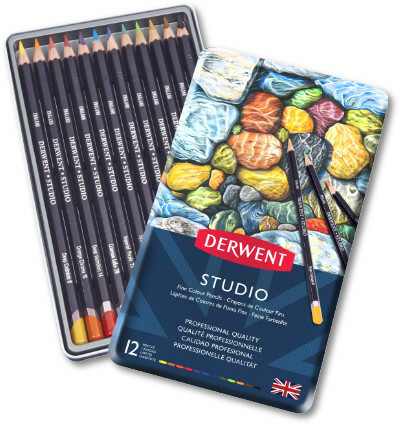 Derwent Studio pencils are perfect for to studio based work, as the name suggests, such as graphic design, architectural work or botanical illustration. 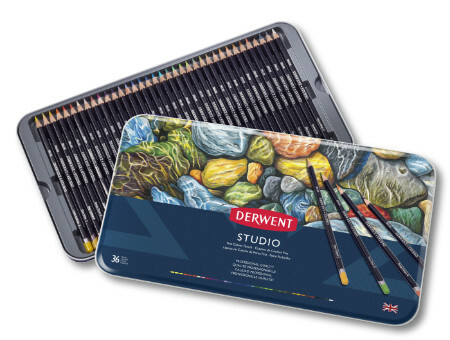 The Studio range is also colour matched to the Derwent Artists range which has broader, softer line and a slightly waxy texture that allows you to layer and blend with ease. The two ranges complement each other perfectly. 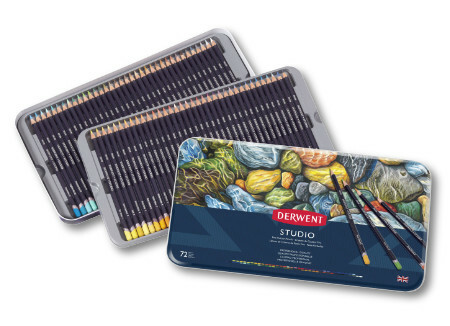 The full range of Derwent Studio Colour Pencils in a handy tin. 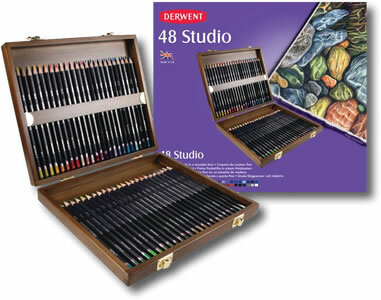 A beautiful presentation box containing the entire Derwent Studio Colour Pencil range. P4A Exclusive - Buy this box and with it you will receive a voucher giving you 10% discount on single pencil refills for a whole year! 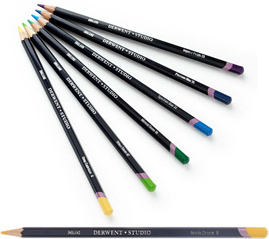 Derwent Studio Colour Pencils have the same colour core as the Derwent Artist range but with a crisper, more precise finish. 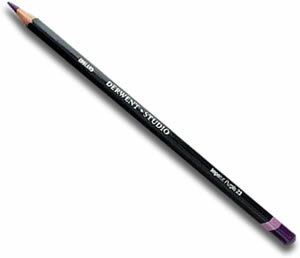 With a slimmer, hexagonal, barrel the Studio pencil lends itself to studio based work such as architectural drawing or botanical illustration. The 72 colours can be used in harmony with the slightly waxier Artists range to create many different layers and effects.